Joe Montana 1990 San Francisco 49'ers home red jersey exhibiting light overall use. 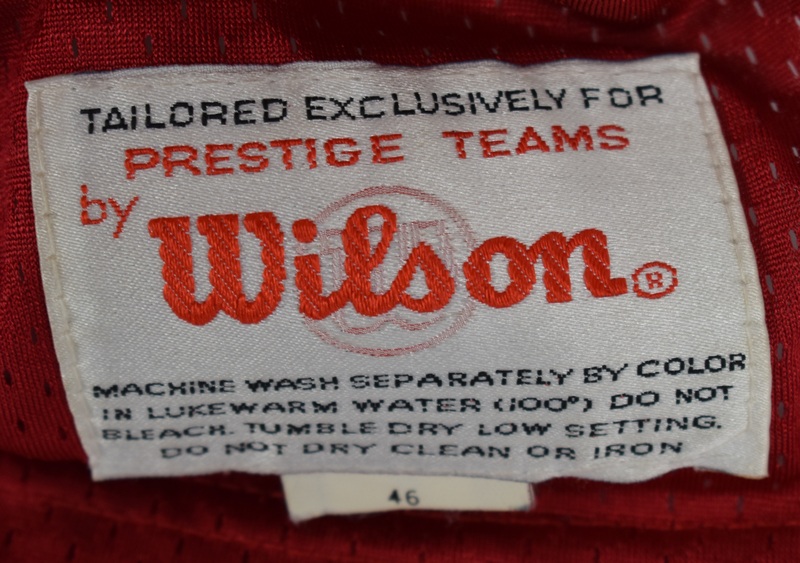 This Wilson size 46 jersey has several customizations unique to Montana in the double reinforced shoulder pads, custom cut and hemmed sleeves, extra length added and reinforced side seems. The front left tail has the Wilson label with size 46 flag tag, with the “MONTANA” nameplate and numbers tackle twill stitched onto the front, back and sleeves. 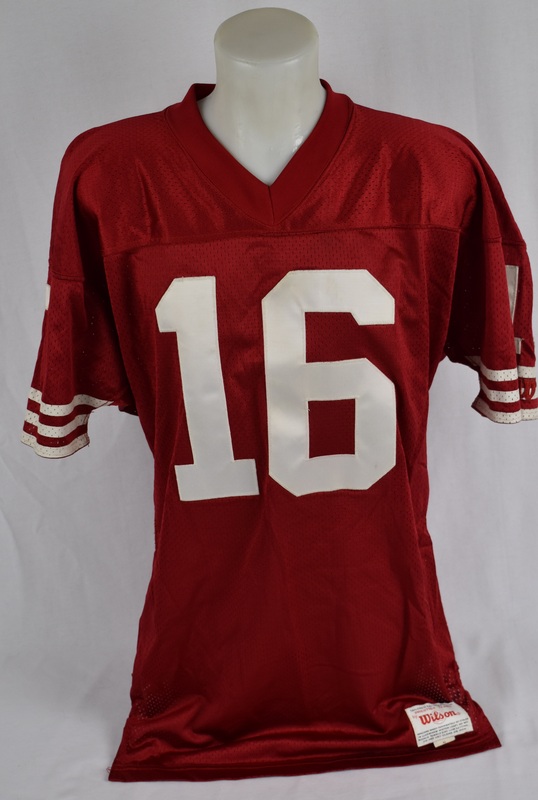 The sleeves have been customized, with an approximately 1/2” hem double-stitched on each with white thread. 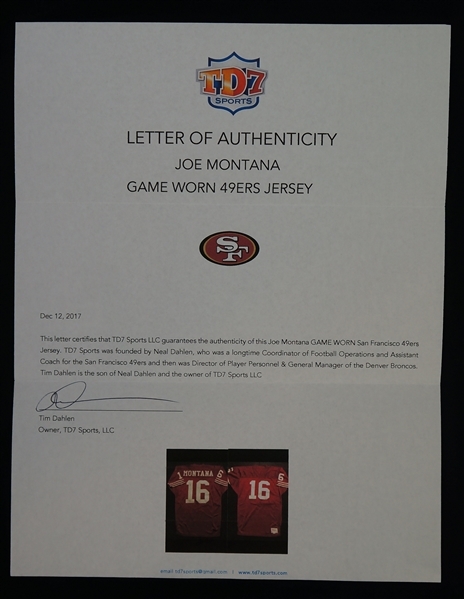 Super Joe has signed the back #1 in blue marker. 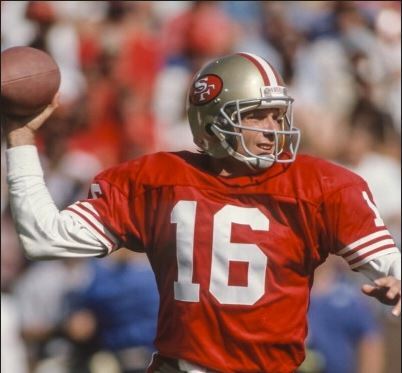 For the purpose of style matching this jersey, we have included action shots of Joe Montana during 3 different home games in 1990. The perfect placement of the Wilson "W" on the left sleeve, the custom cut and hemmed sleeves, placement and font of the nameplate on back as well as spacing of "MONTANA", jersey tackle twill/font and lack of NFL shield at the v-neck are all evident. 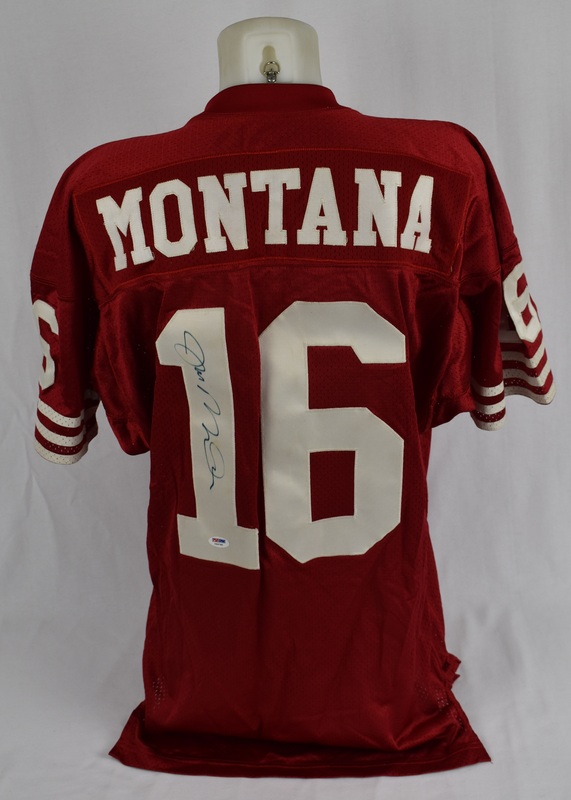 Very rare, customized Joe Montana jersey from his waning days with the 49'ers. 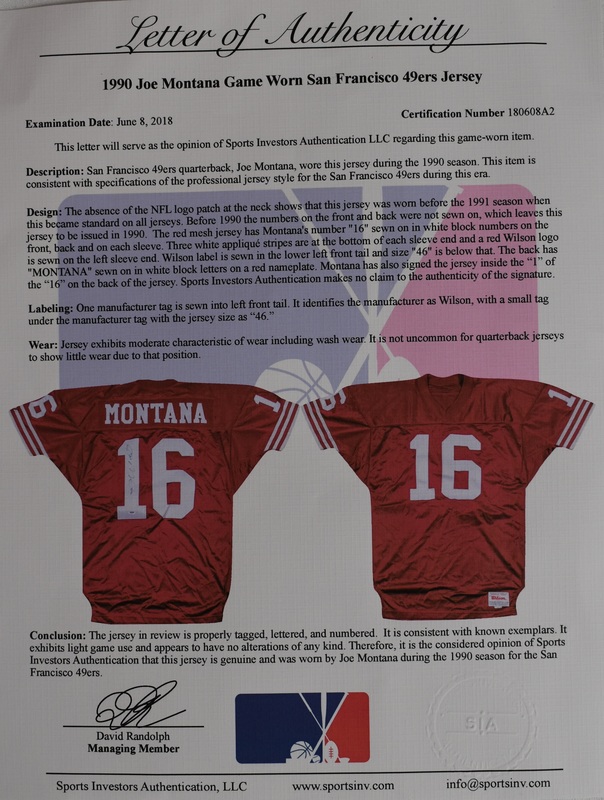 Accompanied by Letter of Authenticity from Sports Investors Authentication for the game used portion of the jersey as well as a PSA/DNA sticker authenticating the Joe Montana signature on the jersey. 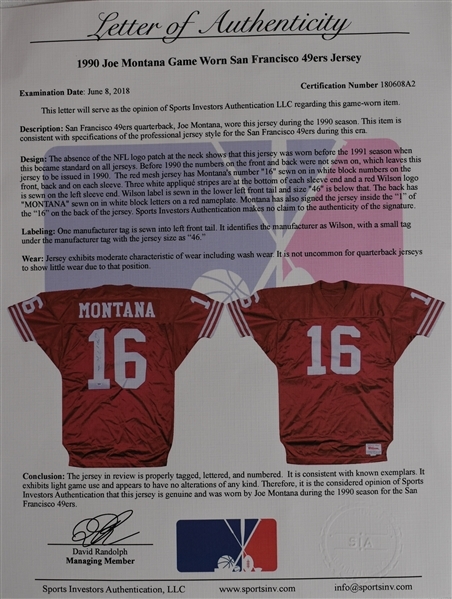 Also accompanied by a Letter of Provenance from TD7 Sports Tim Dahlen. 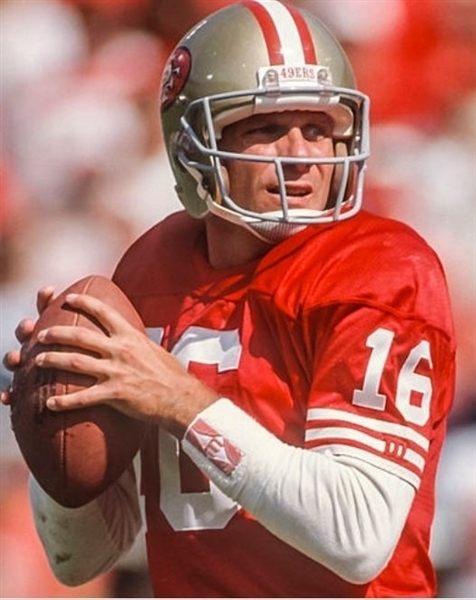 TD7 was founded by Neal Dahlen former coach for the SF 49'ers and GM for the Denver Broncos.